It’s that time of year… ALREADY! Christmas is just over a month away! Can you believe that? As the holidays are right around the corner, and we are ALL looking for some inspiration when it comes to gift giving, Jess and I thought that we would share what we are loving right now. 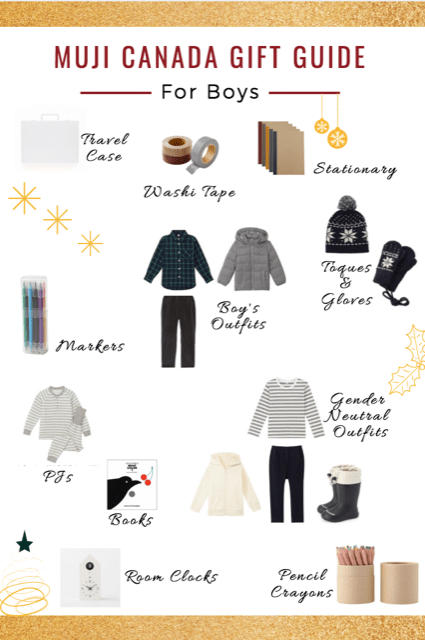 We teamed up with MUJI on Robson to create the ultimate holiday gift guide – FOR HER, FOR HIM, and FOR KIDS! MUJI on Robson carries over 5,000 products in store, all with a minimalist design. Their products are simple, quality and have unique features that are sure to impress this holiday season! It is also a great place to shop with your family, as it is kid-friendly! 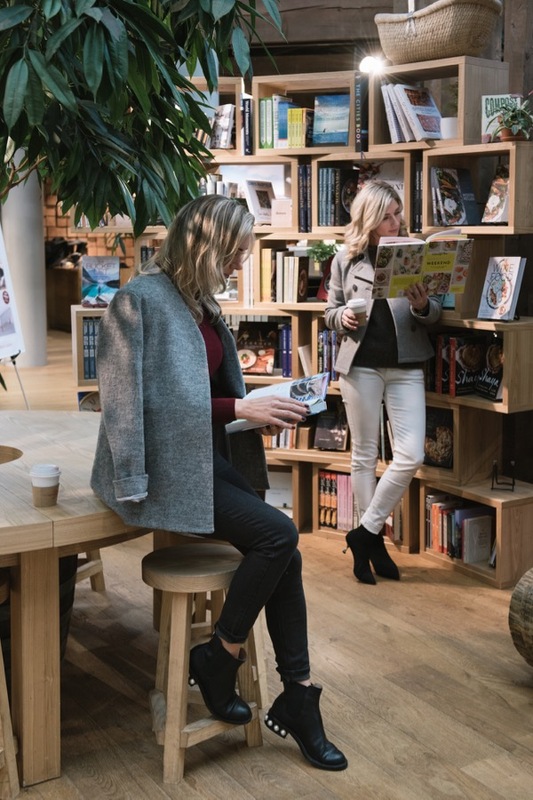 They have a coffee shop in store, and a reading nook with books and toys to keep your kids entertained. Ladies, this first one is for you! 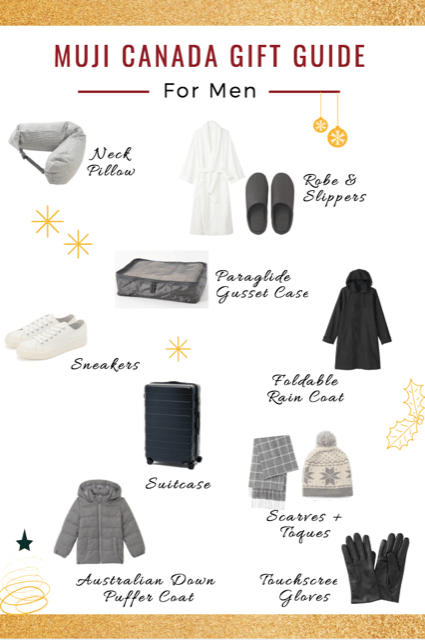 Jess and I have put together our favourite MUJI gift items for women. 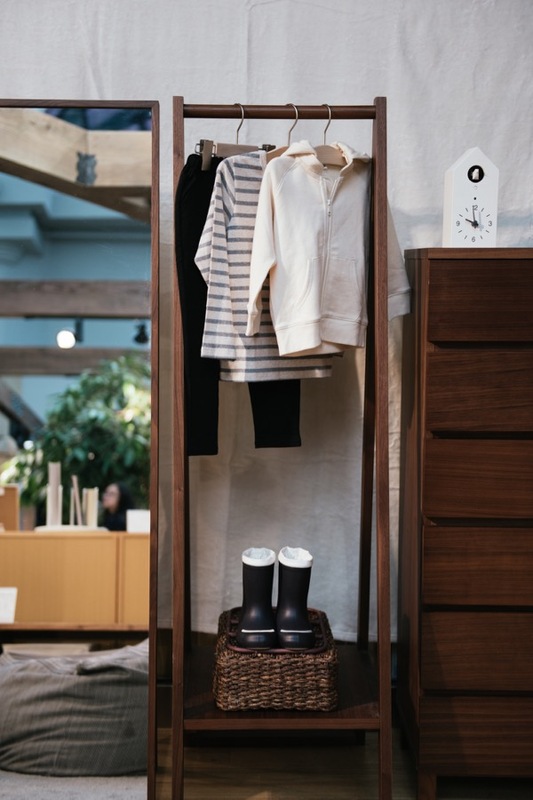 What’s great about MUJI is that they have a large variety of products, so you are bound to find something for everyone on your list, no matter what their personal style is. 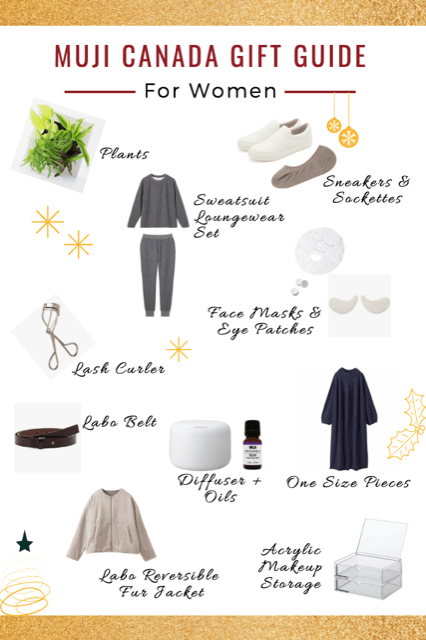 If you love cozy loungewear (I know I do!) and matching with your bestie (yes please), these super soft sweatshirts and sweatpants make a great (and practical) gift! MUJI also carries a selection of casual shoes to create a complete outfit! 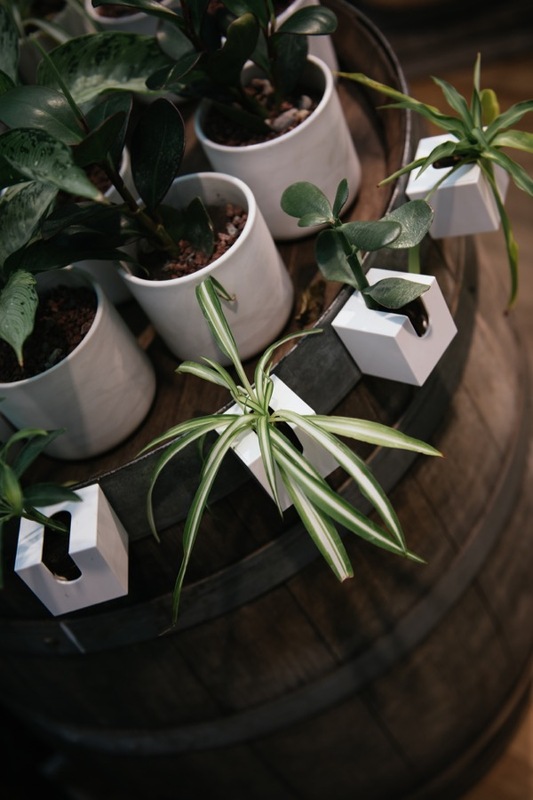 If it is more of a hostess git that you are after, MUJI carries a selection of plants – both big and small! We love these mini plants in magnetic pots! We even spotted a few books on plants if you want to put together a gift set! 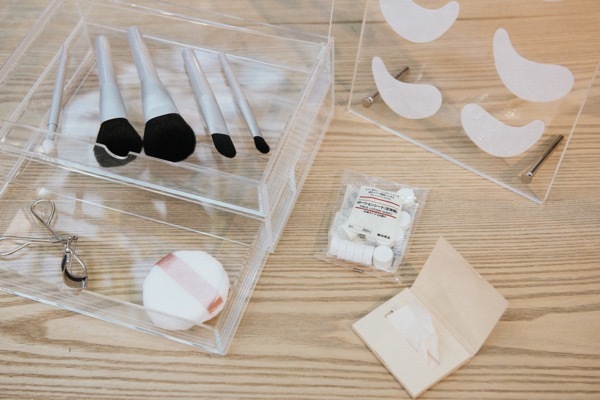 For the beauty/skincare lovers, MUJI has it ALL! There are some very unique products, like their face masks that come in tiny little pods that expand. Super convenient for travel! Looking for ways to store your items? Check out MUJI’s collection of acrylic storage solutions. When it comes to fashion, MUJI focuses on minimal design and versatility. Their clothing is timeless, functional and works for all body types. This one size fits all knit dress can easily transition from day to night, and can be accessorized with one of their LABO collection belts for extra detail! To see Jessica’s pick, click here. (ps – you don’t want to miss it. You will LOVE it!). As women, shopping for men can be challenging… to say the least! MUJI has some very cool items that work for any lifestyle, and budget! Whether you are on the hunt for fashion, stationary, travel accessories or personal care items, MUJI has an amazing selection to choose from. The Australian down puffer coat is a great winter wardrobe staple that will keep the men in your life nice and warm this season! 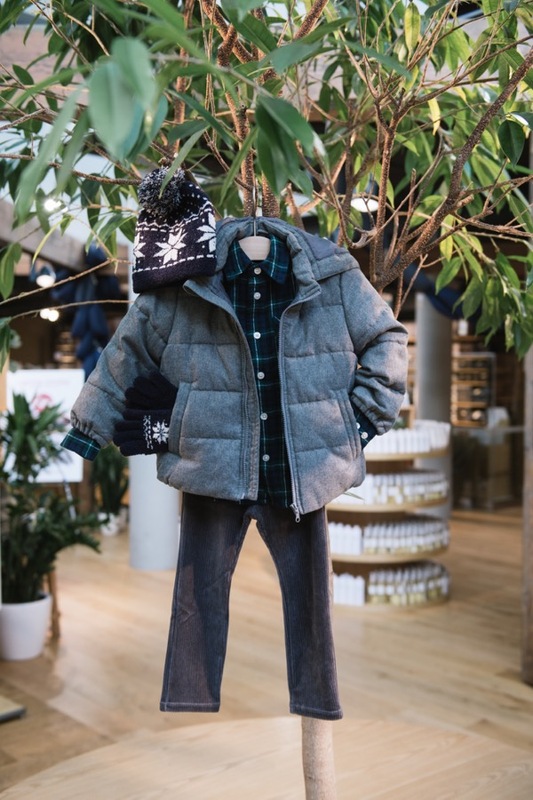 We love it paired with the MUJI hightop sneakers and wool ball cap. 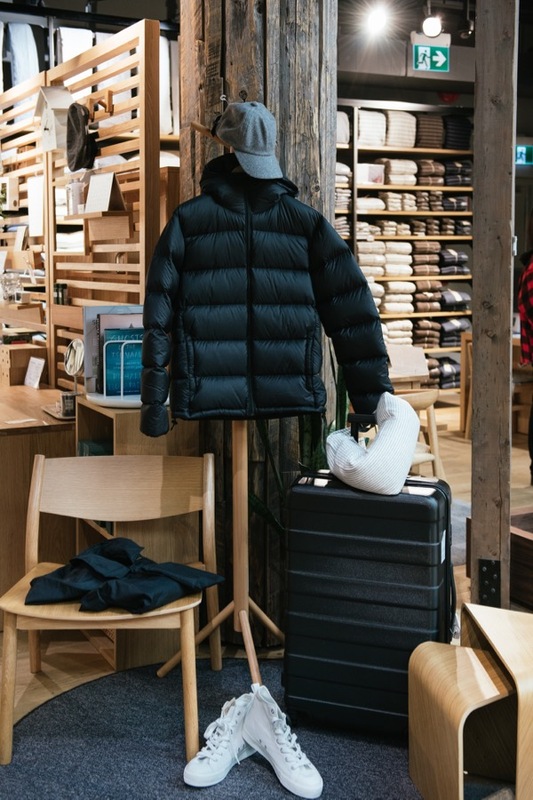 MUJI also carries a full line of travel products – including luggage, backpacks, toiletry items, neck pillows and more! MUJI also offers an embroidery service in store. Add initials on to a cozy robe or slippers as as special personalized gift! If you live on the West Coast and in Vancouver, a raincoat is a necessity! 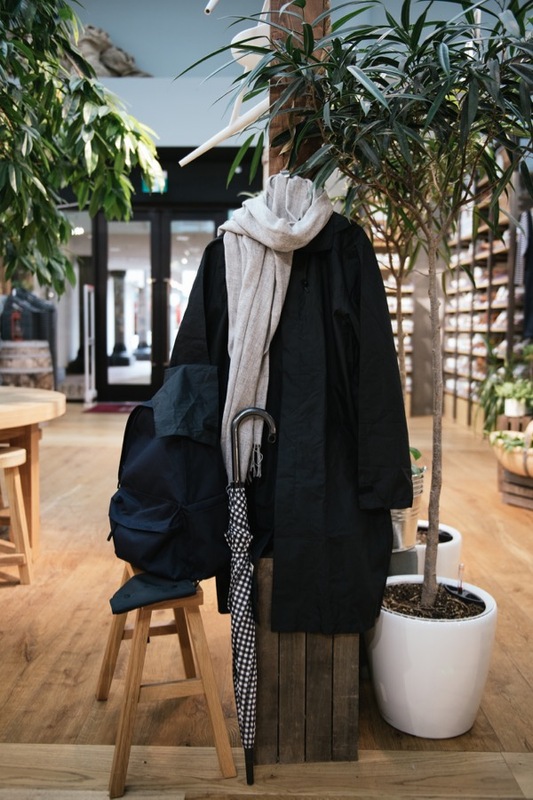 This foldable raincoat from MUJI conveniently fits in it’s own case so you can store it in your bag or car! How cute is this boys outfit for winter? I instantly fell in love with this super soft and very warm puffy coat! 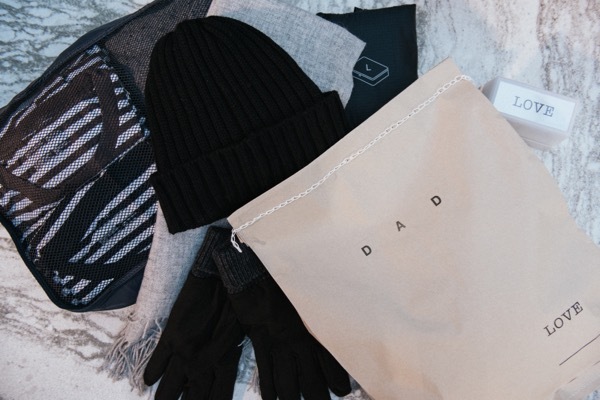 Paired with a classic plaid fleece button down shirt and soft corduroy joggers and accessorized with the snowflake toque and gloves for a comfortable yet festive look! Pyjamas make such a great gift or stocking stuffer. MUJI carries a variety of styles so your little ones can match! Choose one of their kids books for a bedtime themed gift. They have a huge selection of books in store. Arts and crafts are a great way to keep your kids entertained, whether you are at home or on the road. 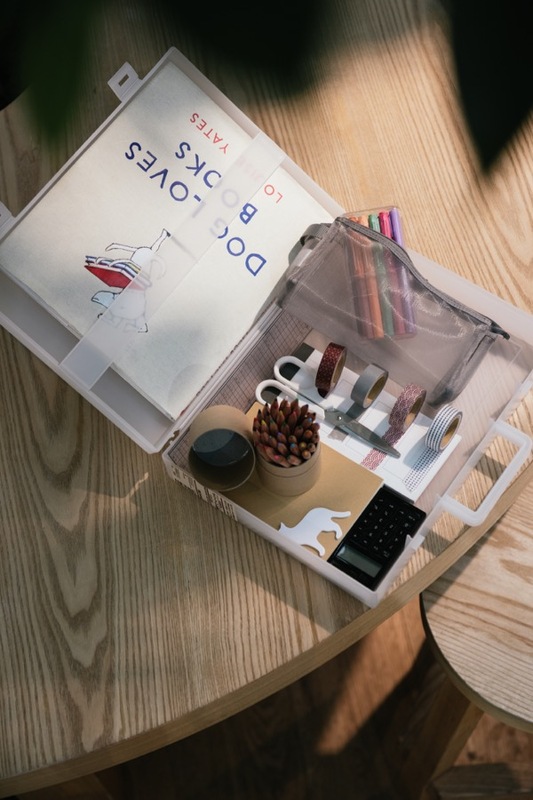 MUJI carries all your stationary needs – from notebooks, to calendars, to markers, pencil crayons, washi tape and more! They also have you covered when it comes to storage! Like this travel case for your kids books and stationary. Think about how excited the kids in your life would be to open up a customized package with all types of crafts inside! This is also a great idea for keeping kids entertained on an airplane. If you are looking for non-gender specific clothing (which is helpful when you have boys and girls), there are lots of pieces to choose from. You can really feel the quality in the materials too! Here is a great everyday gender neutral look that Jess and I put together. One cool feature to note is that the hood on the sweatshirt is removable! Wear it as a hoodie or bomber jacket. To see Jessica’s picks for GIRLS, click here. Love what she chose! We hope you love our picks! All items featured are available at their Robson location. You can also follow on Instagram at @mujicanada for the latest arrivals and events!